My favourite country in the world is the United States of America, and it’s not just because of the cheap liquor and whores. It’s because the USofA creates uncompensated benefits for the rest of the world. And on top of that, she is always trying to do better, inspite of her best efforts. So while reading David’s latest tour de force at my expense, I couldn’t help but feel he was dead right. Right that the US political landscape is a knot of non-cognitivism. Right that education, poverty and basic infrastructure could probably use some attention. Right that corruption and rent seeking at the highest levels is tolerated as if it were an intrinsic bug in democracy. But David is quick to remind me of the private sector. Yes, the US has an inadequate collective action mechanism, but don’t sweat it. It controls a mere 35% of a $17.5 trillion economy. And there’s a whole other 65! The irony is that despite all that failure to collectively act, the US is one of the world’s greatest providers of the most basic public good of all: innovation. Innovation makes the world permanently richer through breakthroughs that all countries are free to copy. And there, Canada cannot compete. We may stand on guard for our affordable and high quality health insurance, but we’re also a small, exporting country with dismal R&D rates. Contrast this to the private capital and survival instinct that torrents through US medical institutions, and you’ll be left with the impression that Canada and the world at large enjoy a free-ride. Yet the resilience of the US private sector is no reason to neglect the sorry shape of its public sector. On the contrary, it’s all the more reason to be dissatisfied. Everytime $4 billion gets spent on a handful of competitive senate races it’s a Human Genome Project that wasn’t. Every time a social program is sabotaged while a free market solution is outlawed, another cohort slips into the limbo of a safety net designed by taking the average of two incompatible philosophies. And as the world’s most productive economy, the US is not only shooting itself in the foot — it’s using the world’s most expensive bullets. As David alludes to, the US federal government was not designed to be good at stuff. This leads some to conclude that the path of least resistance is a libertopia fait accompli to minimize loses. But times have changed. Wagner’s Law means a wealthy public demands its goods, which in turn means that so as long as the US is democratic it endogenizes a role for good governance. The Founders never anticipated the New Deal, much less the Affordable Care Act. We can only thank the grace of God that they checked the Bill of Rights for typos. I also recognize that the US is not going to hold a constitutional convention anytime soon, much less apologize for sedition and crawl back to the crown. It’s just not in the dominoes. But it doesn’t need to be. The issue isn’t the vital need for a rationally constructed privy council. The issue is that the micromotives and macrobehavior of the US political economy are out of whack. 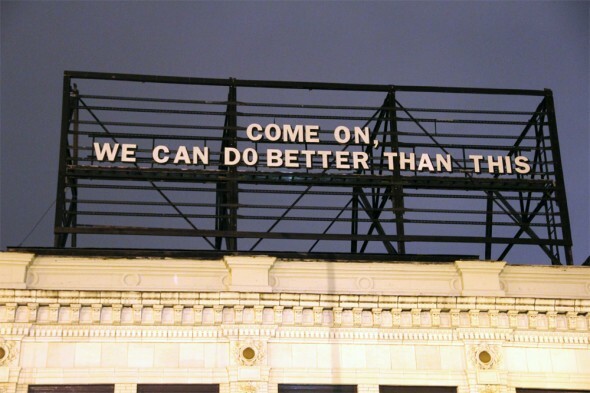 Social criticism is based on the premise that we can and should do better. And to that end, comparative institutional analysis is indispensable. It’s Raining Men. Hallelujah. Hosanna in the Highest. Aw, shucks, it’s all just fun, a little reverie to get some laughs. I’m glad we’re all on the same team. After all, deep inside, in the heart, at the core of our beings, yea, when it comes right down to it, we’re all US Americans.